Aluminium is used in every aspect of our lives – from protecting our food to transporting us in cars, trains and planes. These free resources will help students aged 11-14 understand the material properties of aluminium. 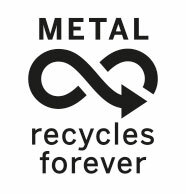 Through exploring the life cycle of aluminum, students will understand the importance of recycling aluminium and the contribution it can make to sustainable design.